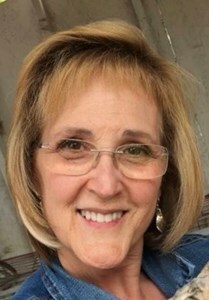 Valerie Jean (Goodwin) Peck of Olathe, KS, returned to her Heavenly Father on Saturday, December 1, 2018, surrounded by loved ones at her home in Olathe. Valerie was born on October 24, 1954, in San Fernando, CA, to Everard Goodwin and Rosalea Hopfner. The family relocated to the East Coast, where she spent her formative years. Valerie graduated from Salem High School in 1972. Prior to serving an 18-month mission for the Church of Jesus Christ of Latter-day Saints in San Diego, CA, in 1976, she studied speech therapy at Brigham Young University in Provo, UT. Valerie wed Donald Peck on May 19, 1978, in the Church of Jesus Christ Temple in Washington, D.C. The couple lived in Lawrence, MA, where they welcomed two of their three children: Corey in 1979 and Bethany in 1981. Her career in collegiate sports insurance brought the family to Olathe, in 1986, where they have lived in the same home for 32 years. They welcomed their third child, Scott in 1991. Throughout her life, Valerie was a devout member of the Church of Jesus Christ. She served in various capacities from working with young women, teaching Seminary, working in the Temple to her favorite—leading and singing in the ward choir. Her favorite hobbies involved utilizing her artistic talents to create objects of love for friends and family—especially quilts. Valerie is survived by her husband Donald; her three children: Corey Peck, Bethany (Ryan) Call and Scott (Samantha) Peck; her four grandchildren: Tyson, Makenzie, Marleigh and Palmer; her mother Rosalea; and her siblings: Michael (Joan) Goodwin and Carol Ann (Brady) Allred. A viewing will be from 7pm-8:30pm on Thursday, Dec. 6, 2018, at the Church of Jesus Christ of Latter-day Saints (15915 W. 143rd St., Olathe, KS, 66062). Funeral Services will be on Friday, Dec. 7, 2018, at 10am, proceeded by an open viewing at 9am-9:30am, at the same location. In lieu of flowers, the family would suggest donating to the Humanitarian or Missionary Fund through the Church of Jesus Christ of Latter-day Saints. To leave a special message for her family or to share a memory of Valerie, please click on the "Share Memories" tab above or scroll down below. Add your memories to the guest book of Valerie Peck. I am praying for God's comfort for you at this time. I know how much you love your sweet Valarie. Val is with God now, but still here in every part of every day. She is not diminished, we just cant see her now. She is just in the other room, loving you and praying for God's blessing for you. Don and Family, Linda and I were so sorry to hear of Valerie's illness and passing. Linda and I were out of town and did not return in time for the services. She was a wonderful colleague and person. I know that her death leaves a whole in your hearts. I also know that you are comforted by the knowledge that she is with our Savior and you will see her again in heaven. God bless and strengthen you in this time of grief. Val was one of the first people I met in Olathe 1st Ward. She introduced herself and 2 others she was with and said hi to me every week after. When I cut my hair she told me how cute it was and several times after she told me she liked my hair. I often don’t like my hair - but, Val is always there in my mind and I remember “Val likes my hair” and it feels ok. It’s a simple crazy gift she gave me. I appreciate her example of being an involved mother and grandmother. Not everyone gets a chance to be loved like that with time and attention and it’s beautiful. I hope to break the cycles in my family by being that kind of grandmother. But, Izzy came home smiling huge! She was filled with a new spark of faith that I had not seen in her yet. She shared stories with us and even a book that Val recommended to her. This experience left a profound mark of love on my daughter. Finally, My daughter Alex and I sang in the choir. Feeling Val’s joy for music was such a privilege. What a wonderful friend Valerie was. She was always there for me when I was going through a very difficult time in my life. Then, when I was in the hospital, my heart in Atrial Fibrillation, she came and just sat and talked with me. Then she massaged my hands and my feet. We were chatting away and suddenly she looked at my heart monitor and said, "I think you're in normal sinus rhythm." Sure enough I was! My home teachers came in right after that to give me a blessing. Val and I laughed that maybe I didn't need one! Her tender massaging had already done the trick! Then the doctor came in and was so pleased that he wouldn't have to put more drugs in my IV to try to trip my heart back into regular rhythm, or Heaven forbid actually shock my heart back! I love that wonderful lady so much! I'll miss her. I did not know Mrs. Peck in person. I only knew of her through her son Corey. You can tell a lot about someone when you listen to their children. I listened to Corey: Mrs. Peck must have been an utterly lovely lady. Val, once upon a time I was your visiting teacher, but I always learned more from you than you did from me! And then once upon a time you were my visiting teacher and I felt how genuinely you loved and cared for me. Thanks for your continual kindness, good counsel, and encouragement. And thanks for being such a good example. They must really need you over there. I love you! P.S. I never got to tell you that you have the most beautiful hands. So graceful. So able. I know they'll be resting for a little while but I'm sure you'll be busy where you're going. We were very saddened to hear of the passing of Valerie. She was such a wonderful and loving person. She will be sorely missed. We pray that Heavenly Father will bless and strengthen your family during this difficult time. Remembering Valery as the most beautiful, kind and happy person. So honored to know her. Valerie was a classmate of mine at Salem High School. I remember her to be a really kind person. I didn't remember that she and I were born on the very same day...just across the country from each other. Rest in peace, Valerie. Dear Don, Bunni, children and family, I had the honor of selling Valerie and Don their home when they moved to Olathe so many years ago. It was my privilege to also get to work with other members of the family as they moved to Kansas City. Valerie was one of those unforgettable people you may be lucky enough to meet along the way in life. I am so saddened for your loss and pray that your beautiful memories will comfort you in the coming days. In 2009, we arrived in Kansas from New Jersey with only our suitcases full of clothes and dreams, when we arrived at the chapel thanks to Elders Thomas & Iztep, we met The President of the Relief Society: It was the beautiful Sister Peck, The next day Monday, She and Sister Lyons and Sister Brown went to visit us and they with so much love helped us and took us a very motivating message. She did amazing things for us and whenever I saw her, I started to embrace her and to tell her how much I loved her, Our last hug was in October, when I told her that I was saying goodbye because we were moving to Missouri, but I told her that I always loved her, She let out some tears and hugged me tight, told me she loved me and that I knew that my Heavenly Father loved me more, that she was happy because she could see that I had sealed myself with my family, I cried, I said goodbye, but I felt that hug had something else, I could not explain it, I went to the car and there m My heart was broken because I felt it was a farewell forever ... I send my deepest condolences to the whole family, but a very special and great hug to our beautiful McKenzie, from her Masters John and Alicia Salazar ... Rest in Peace My beautiful Sister Valerie Peck !! Until we meet again with El Rey! Please know our thoughts are with you and your family during this time. Mr. Kim R. Wrench and Mr. Kevin Overstreet. I want you to know that Val was a true example of someone that had the "Pure Love of Christ." She helped me so many times with advice, comfort, and love. I will miss her terribly but I know she will do a great work on both side of the veil. I'm sure she will be your guardian angel helping and guiding you through this difficult time. She was instrumental in helping the Ottawa Ward grow and become more loving to everyone that entered the church doors. You will all be in my prayers and may the thoughts of hundreds of lives she has touched be of comfort to you! She will truly be missed but never forgotten! My deepest sympathy to the Goodwin and Peck families at this very difficult time. Mrs. Goodwin, I grew up on Haigh Avenue and remember Valerie fondly. I remember going to your home often and listening to records for hours and hours in the basement with the other neighborhood kids when we were in grammar school. Valerie was a wonderful girl and I have great childhood memories of her and your whole family. A beautiful, righteous, glowing daughter of a King. Her smile lit up a room. She will be sorely missed on this side of heaven. Friday's shift will never forget you beloved sister. Condolences to your precious family. Sorry for your loss and ours ,too. Valerie and I met at the Mormon Corale where we both sang alto. She always made me feel like I was her best friend. She always met one with a special smile and look. She mentored me as we became members of the same Friday night shift at the temple. When she was a patron in initiatory, she always thanked me. I will always remember her special love and spirit. I join with you in looking forward to sharing happy greetings when we meet on the other side. Peace be with you and wishes that you find joy in special memories. I am so sorry for your loss. Val was such a special lady and I was honored to call her a friend. She was an admirable, loving and beautiful lady. She taught me how to serve unconditionally. I’ve never seen anyone do a book club like Valerie Peck! Each summer a group of us ladies would read a spiritual book. Valerie would put together the most beautiful PowerPoints (staying up until two in the morning to finish it off, sometimes just finding the right font or just the right picture that she wanted to use) twice a month we met and discussed the book that we were reading. My favorite book that we read was gethsemane. What spiritual meetings we had right in Valerie’s living room. She is extremely knowledgeable of gospel topics. And can pull a scripture out of thin air, a poem, a song. It’s all they’re filed away in her memory files! She would amaze me with this special talent that she has! Donald, Corey, Bethany, Scott and to all of the Peck and Goodwin Family. Valerie was such an inspiration to me as a young vehicle and Mia Maid. I have always have a special place for the Pecks and their children. My heart aches for you as you grieve the loss of your wife, Mother, Daughter, Sister, Aunt and Grandmother. However, I am rejoiced knowing that she is now in the loving arms of our Heavenly Father. May Heavenly Farher heal your hearts and be with you always. I have a hole in my heart where Val resided. She was an inspiration continually. She touched my life and the lives of so many others as she shared her talents and passion. She is an example to me. Don. From my family to yours. May the strength and peace of Christ be with you. Thinking and praying for you. Alan and family.